A father’s legal rights may sometimes be too easily overlooked in California’s crowded and usually chaotic divorce courts. As a father, you have substantial parental rights in the state of California, and a father’s rights lawyer can help you protect them. The law in this state is supposed to honor relationships between children and parents, but after a California contested or uncontested divorce, too many fathers too often find themselves excluded from their children’s lives because of unfair court orders. Many dads are compelled to pay too much for child support while having too little parenting time as a result of child custody and visitation agreements. If you are already legally recognized as the father of your child, it’s imperative to retain your parental rights after a divorce. An experienced Orange County father’s rights attorney at the Bayati Law Group can help. Even if you are not awarded the full custody of your child in a California divorce proceeding, a father should still have visitation rights, and you should be assured that your rights as a dad and relationship with your child will not be taken away. If you’re a father who is anticipating a divorce, going through a legal separation, or seeking a divorce in southern California, or if you are a divorced father and you need to have a child custody, child support, or child visitation order modified by the court, get the help you need from an advocate who will fight passionately on your behalf. Don’t wait too long–speak at once with an experienced Orange County father’s rights attorney at the Bayati Law Group. Throughout much of the twentieth century, a presumption in favor of mothers was firmly in place in our legal system. Today, however, the courts are supposed to be officially “gender-neutral” when rendering decisions in matters of family law. The needs and best interests of the child – not the gender of the parents – are supposed to be the court’s top priorities. But let’s be frank. Your rights as a father may be officially recognized the law, but paternal rights are not necessarily part of everyday legal practice. Most courts in California and every other state still continue to favor mothers automatically in child custody and child support matters. The presumption in favor of mothers can genuinely infringe on rights for fathers. That automatic favor is why the father in a California divorce proceeding must have experienced and aggressive legal representation, especially if you genuinely believe that you are more capable of being the better custodial parent. Today in the United States, among divorced couples who are parents, one out of six fathers has primary or full custody of the child or children. Almost a third – 30 percent – of those fathers receive child support on behalf of their child or children. That’s nine times more than the percentage of fathers who had custody or received child support fifty years ago. The courts are required to make decisions based on what is in the child’s best interests. Unless the father has a criminal record or history of abuse, he should be an equal part of the child’s life. A father’s role in a child’s life – just like a mother’s – is essential for a child’s healthy and happiness. Nothing is more important than ensuring that you’ll continue to be a part of your child’s life. If you are a father in California, and if you are fighting for the custody of your child or children, you must be represented by an experienced California family lawyer who can tell your side of the story and make sure that it is clearly understood – an attorney who is knowledgable about parental rights laws and who has previously and successfully represented other fathers in situations similar to yours. An experienced Orange County father’s rights attorney at the Bayati Law Group can help provide you with the representation you deserve. In a dispute over child custody, you’re going to need knowledgeable, skilled legal help. Nothing is more important than your children, so it’s understandable that child custody, child support, and visitation rights are often the most hotly contested issues in a divorce proceeding, even more so than property division and spousal support disputes. 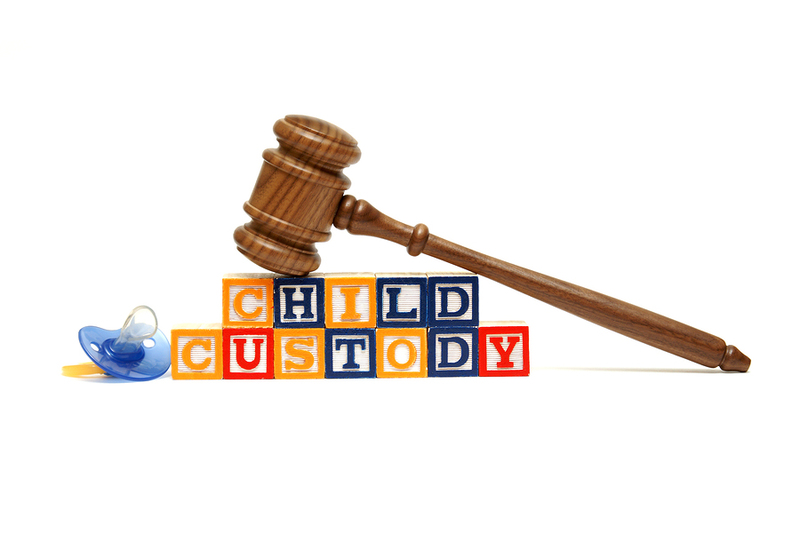 The courts in California determine which parent will get custody based solely and exclusively on what the court believes are the child’s best long-term interests. Some clients fear they have no rights because they have never been legally recognized as the child’s father, but that is simply not the case. If you are not named as the father on a child’s birth certificate, legal paternity can be established easily by a simple DNA test (usually with a cheek swab from you and your child). If you and the mother were not married when the birth certificate was issued, it is vital that you legally establish your parental rights. A paternity case can be quite complicated legally and highly-charged emotionally. If your paternity has not been not verified by genetic testing, it’s possible that you could you could lose your paternal rights, and if you are denied your legal rights as a father, your child and your relationship with that child could be damaged beyond repair. If your child’s mother challenges your paternity action, you must be represented by an experienced California family lawyer who routinely handles paternity cases and who will advocate aggressively on your behalf. Whether you are trying to prove that you are a father – or to prove that you aren’t – the Bayati Law Group can work with you to resolve this legal issue. If you are a father involved in a divorce; if you need a court order modified; or if you need to establish legal paternity in southern California, promptly contact an experienced Orange County family law attorney who specializes in defending the rights of fathers. Contact the Bayati Law Group to have our attorneys review your case. Whether you need immediate representation from an experienced Orange County family lawyer regarding a child custody, child support, or child visitation dispute, or if you simply need legal advice and guidance to help you plan for the future, an attorney with the Bayati Law Group is available to evaluate your situation, to explain your legal options and recourse, and to help you learn how to make the right legal choices for yourself, for your children, and for your future. Our lawyers value the attorney-client relationship, and always respect your privacy. Every Bayati Law Group client and prospective client is treated with complete respect and is extended every professional courtesy. It is our policy to return every client phone call and email promptly to ensure clients receive the services they need. If you are a father in southern California and you need legal assistance regarding any matter of family law, please call today to schedule a consultation as quickly as possible with an experienced California family law attorney at the Bayati Law Group. Our office phone number is (949) 798-5700, or you can complete the form on the contact page of this website, where you can also see a map and driving directions to help you find our offices. The Bayati Law Group represents fathers and families in all matters of family law in Orange County and across southern California.